How to Get Your Cohousing Story Out: Skills You Need to Grow Your Group. 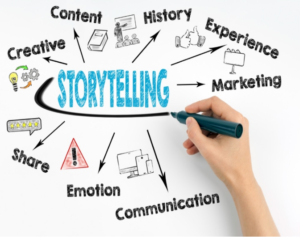 Panel discussion with workshopping on Thurs., May 2, 2019. Register now. You’ll get practice in the skills presented, and come away with an uplifting elevator speech about your project and phone tips for how to connect with people without pushback. Optional potluck and social time, 6 pm. Program starts around 6:45 pm. All are welcome. Cost is $8.00. Panel discussion with Ken Fox, Peter Piché, Becca Brackett, and Brian PaStarr. Register. 420 Cedar Lake Rd, Minneapolis. Free childcare provided in the adjoining nursery room. Parents might wish to bring things that they know their child enjoys. Enter via main south entrance door, near the accessibility ramp; look for the Twin Cities Cohousing Network banner. Register for the program. You may pay in advance or at the door. If you’d like to participate in the optional potluck* and social time preceding the presentation, please bring a dish to share. Group meals are a key feature of cohousing communities, which is why we include them as an option prior to our quarterly presentations and encourage people to attend that if they are able. TCCN provides water, coffee and tea. You’re welcome to bring a non-alcoholic beverage of choice for yourself, or to share. *A potluck meal is “a meal at which attendees bring food that is donated and shared by the attendees” (MN Dpt. of Health). A NOTE ABOUT THE $8 COST: A donation of $8 is requested for each adult. There is no charge for children. Donations are accepted in advance or at the door. All donations support the programs and other educational work of Twin Cities Cohousing Network, a 501(c)(3) nonprofit organization. No funds collected are payment for the shared potluck meal or in exchange for food provided. This is the quarterly presentation and potluck of Twin Cities Cohousing Network. Reach us via email at twincities [at] cohousing [dot]org or at our website tccoho.org. 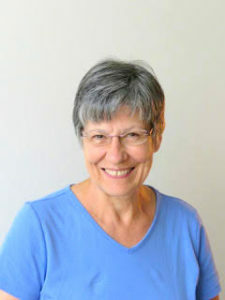 Lynn Englund, local Sociocracy trainer, presents on Thurs., Feb. 21, 2019 the three foundational tools that are part of this common governance system that’s used in some self-managed cohousing communities. These tools are: rounds, circles and the practice of consent in small group decision-making. Informal networking will happen during the potluck that precedes the program. Registration is open now. Optional potluck at 6 pm, program at 6:45 pm. Does your group have lofty ambitions but struggle with making and following through on decisions? Learn the basics of Sociocracy, a system that distributes authority and helps groups to optimize their meeting time. This form of decision-making and governance allows all voices to be heard. Presenter: Lynn Englund is an educator and trainer in the areas of group process and governance. This is the quarterly program meeting of Twin Cities Cohousing Network (TCCN), a nonprofit organization that educates about cohousing and provides related networking opportunities in the Minneapolis/St. Paul area. Sometimes core groups form, but then disband. What distinguishes the groups that make cohousing happen? Here’s one example of a group that is now all moved in. How did they do it? Hear their stories, and bring your questions. Let’s give a warm Minnesota welcome to our three guests from Arboretum Cohousing in Madison who will be driving up to talk with all of us on Thurs., Nov. 15, 2018. Thurs., Nov. 15, 2018 at 7:00 pm. Register now. Sign up for the TCCN e-newsletter, and learn of future events. Or, reach us via email at twincities [at] cohousing [dot] org. Save the date, and plan now to attend our quarterly program meeting on September 20. Our guest panelists will be two parents from Monterey Cohousing. The topic is Raising Children in Cohousing. As the adage says, “It takes a village to raise a child.” How does that work and what does it feel like when the village includes other parents, kids and the bigger circle of a cohousing community? This session can help you decide if you might prefer a multi-generational cohousing community, or one that is limited in some way. Join us for this TCCN quarterly presentation and potluck on Thurs., Sept. 20, 2018 at Bryn Mawr Presbyterian Church, 420 S Cedar Lake Rd, Minneapolis. Mingle at 5:30 pm, dinner at 6:00 pm. Cost: $8.00. 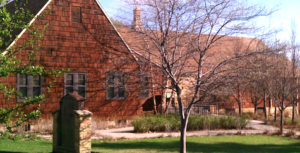 Monterey Cohousing is a cooperative cohousing community in St. Louis Park, MN. Register now to attend the next quarterly potluck info session. Welcome! The next potluck information session about cohousing is Thurs., March 8, 2018. Join us to find out about the cohousing concept, ask questions, and meet other people who are also exploring this neighborly housing option. Doors open 5:30 pm, meal starts at 6 pm. Please bring a dish to pass. Your pre-registration is appreciated, and helps us to plan. NEW LOCATION! Bryn Mawr Presbyterian Church, 420 Cedar Lake Rd S, Minneapolis. Free on-street parking in the vicinity of the church. Ken Fox, a member and resident of Monterey Cohousing, is the featured speaker. Join us at Gandhi Mahal restaurant for this special gathering of Twin Cities Cohousing Network on Tues., Feb. 20, 2018 starting at 5:30 pm. 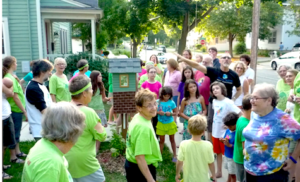 Our speaker for this year’s annual meeting is Ken Fox, a long-time member of Monterey Cohousing Community in St Louis Park. Come for conversation, good food, and a chance to learn more about this human-centric housing form. A vegetarian and a chicken dinner option will be available. Please register now at this link. We look forward to seeing you! 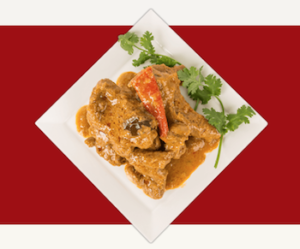 Gandhi Mahal was voted the Best Indian Restaurant 2017 by MPLS/St Paul Magazine. 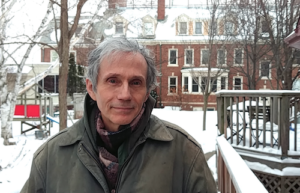 Architect Mark Carsten Anderson will bring us up to speed on the basics of Passive House and Net-Zero Energy high-efficiency energy standards for buildings, and why we might care. Q&A with a builder he’s worked with afterward. Enjoy a potluck supper with others starting at 6 pm. Please register and pay in advance so that we can arrange the space appropriately. TCCN members $8/non-members $10. Also, deals for families. If you’d like to help set up for the event, show up around 5:30 pm. Or if you can, plan to stay and help clean up at the end. Pitching in to help is a good way to get to know others who also are exploring cohousing. When I went to the National Cohousing Conference, held in Nashville in May, I kept hearing the book Tribe being referenced. Now that I have read it, I understand why. There is a reason we and others are so drawn to cohousing. Without ever mentioning cohousing, Junger explains why the idea of community is so central to all human beings. And community is what cohousing, at its core, is all about. To quote the book, “Decades before the American Revolution, Benjamin Franklin lamented that English settlers were constantly fleeing over to Indians, but Indians almost never did the same.” Why? One of the things that was tempting about native life to white settlers, Junger notes, was its “egalitarianism.” That he says, is built into our genetic structure because “genetic adaptations take around 25,000 years to appear in humans” and we have not lost our egalitarian instinct that hunter gatherers needed to survive 5,000-10,000 years ago. These hunting groups likely formed coalitions to counter any male that tried to be dominant, the book says, because it would have been counterproductive to the group. Our current society is based on selfishness and status, while the hunting groups were based on sharing and cooperation. We evolved as a communal species, and when that sense of community dwindles, we can lose a part of ourselves that wants more than individual status and material wealth. The book is full of examples of that sense of community, its fulfillment and its purpose happening in ways and places we would not normally guess to be possible. One of those is the current U.S. combat veterans ironically being happier during combat than they were upon coming home, likely because of–the book says–their loss of closeness and the breaking of intimate bonds that combat life gave them. This may explain some their subsequent PTSD upon their return. Why did this happen? “When people are actively engaged in a cause their lives have more purpose…. with a resulting improvement in mental health,” H. A. Lyons wrote in the Journal of Psychosomatic Research in 1979. I think the reason the book Tribe was referenced so often at the National Cohousing Conference was because people there believe that the cohousing model puts us back into a situation that we are very suited to. Cohousing creates a structure that is egalitarian, not based on authority, and similar to what hunter gatherers practiced. It puts us in a setting that allows for the privacy of one’s own home, but subtly and continually routes us past the common house where we can encounter others in a nonthreatening way. And since these people, like us, “are actively engaged in a cause, their lives have more purpose, and there is a resulting improvement in mental health.” The cause that people are actively engaged in is cohousing itself. That cause is the common good of keeping the cohousing group viable, functioning, and sustainable. That cause that becomes a purpose, is realizing that what I do impacts my neighbor, and that we are all in this together. This is probably why, studies show, that people in cohousing live longer and volunteer in the larger community more than people outside of cohousing. We are meant to be in community, and we do better when we do. Cohousing info table at the MREA Energy Fair in September. 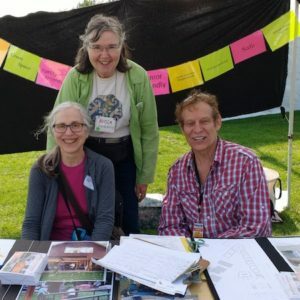 Hundreds of Energy Fair – St Paul attendees stopped by to learn about cohousing and pick up our tiny eco-friendly flyer. This was TCCN’s first outdoor information table, which we shared with Bassett Creek Cohousing. Thank goodness, on those hot and sunny days, that we had a dining canopy for shade (many thanks for the loan, Paul Wehrwein) and some rocks to keep paper items from blowing away. If we look tousled, yes, it was windy. Thanks to TCCN friends for coming by to say hello. And a big heap of appreciation for Fred Olson for his creative troubleshooting and help with the booth set-up. Kathy, Becca and Brian staffed an information table at the MREA Energy Fair at Harriet Island Regional Park on Sept. 9-10, 2017.